As Marcus walks to The Bungsu Hospital he sees that the roof is no longer standing, but the worst was yet to come. Not only had the roof collapsed, but the rains had infiltrated the whole hospital and water was now dripping on the X-Ray machine on the first floor. Something had to be done, and quickly! Marcus shares the story of the first day after this disaster and goes on to talk about many of the changes that needed to happen for the hospital to recover from this disaster. One of the many techniques that Marcus brought with him to the hospital was the visualization of the most important number, or “Single Most Important Metric”. In this episode, we discuss how that came about as well as some of the aspects that are critical for us to use that approach in our own context. Visualization is a powerful technique that, in the case of The Bungsu Hospital, really transformed how the staff there looked at the goal for their work and even inspired Ibu Butet, a part-time receptionist, to come up with an idea that made The Bungsu famous in its province of Indonesia. You can read more about the Visualization technique in the book and in this blog post by Marcus: The Power of Visualization to Drive Action and Manage Work. Salvation: The Bungsu Story is full of inspiring stories, and in this episode we review a few more. From the impact of slack time on Ibu Elsye’s life (which includes a video of the impact), to the “incremental” delivery of the second floor at the The Bungsu (even construction work can be done incrementally!!! ), to the insight that David Marquet (author of Turn the Ship Around! And previous guest on the podcast) got from reading this book. A simple change in management approach that can have a major impact! This episode is full of emotion, and great stories, but the real deal is the book! 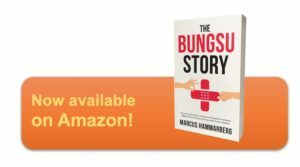 You can now purchase Salvation: The Bungsu Story on Amazon (Kindle and print). So go get it, and get inspired! Marcus is a Software / agile consultant from Sweden who was on IT-sabbatical leave in Indonesia, working for the Salvation Army hospitals there. And yes, using techniques from agile in that work even in non-software environments. 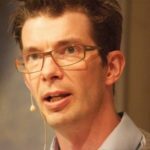 He talks about that experience on this episode of the Scrum Master Toolbox Podcast. And now he’s completed yet another book about his adventures in Indonesia: Salvation: The Bungsu Story which we are publishing together with Marcus.